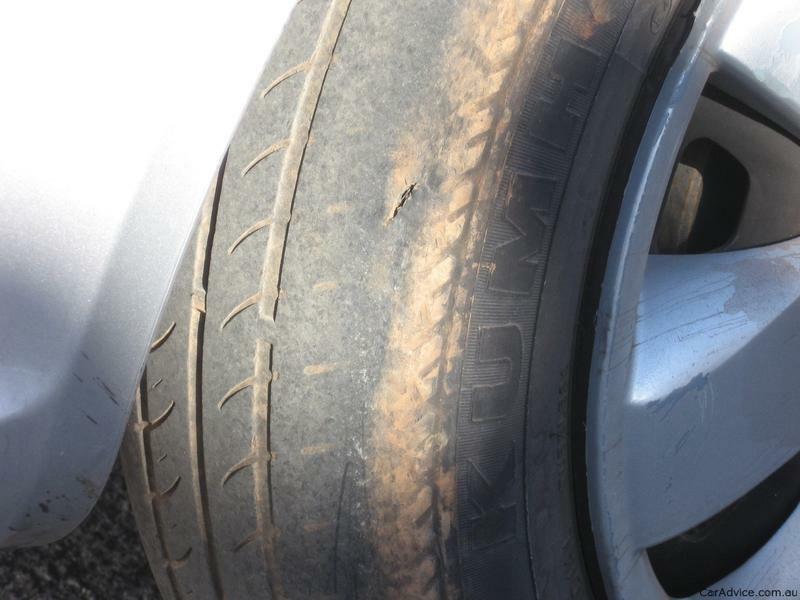 It's easy to over look the importance of tyres on your Volkswagen. 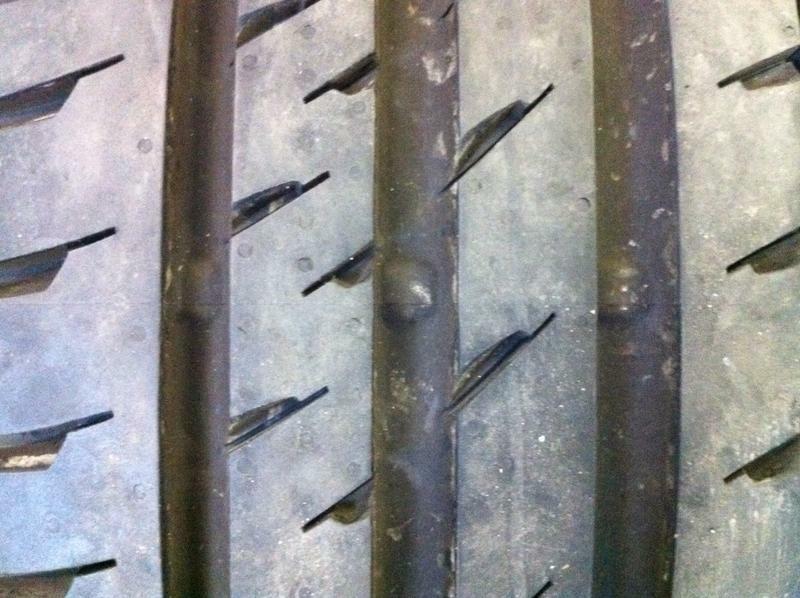 Lets be honest, when did you last check the side walls for damage or even do your tyre pressures? Why are Tyre Pressures so important? 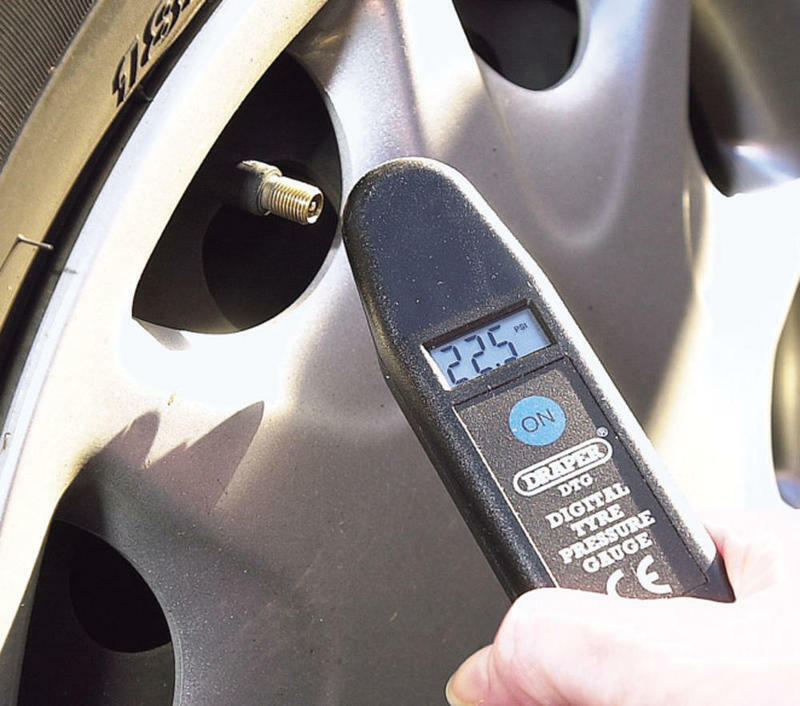 Vehicle manufactures recommend checking your tyre pressures every time you fill up with fuel. In the modern busy times we live in that's clearly not practical. 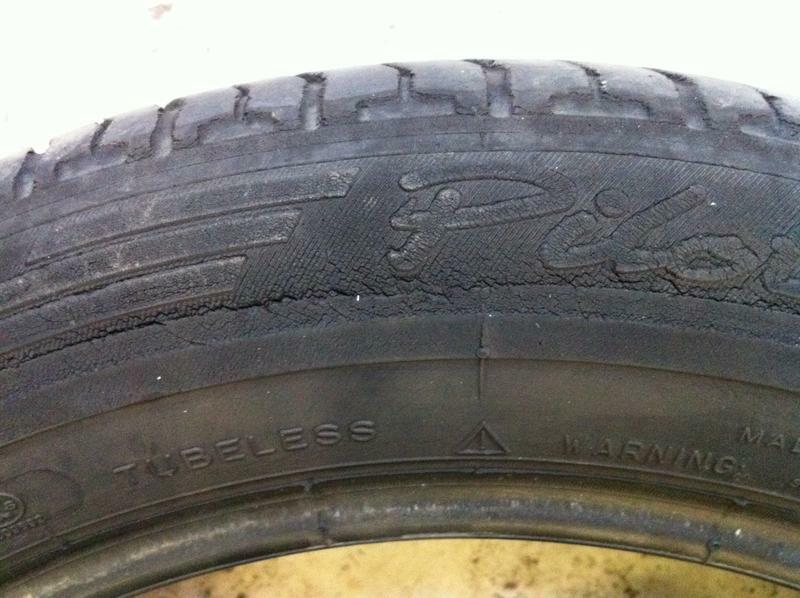 We'd suggest you check them every 4-6 weeks or every few thousand miles. Make sure you check the side walls at the same time for damage. Look round the main tread checking for nails and stones and make sure you get right down and inspect the inside edge. 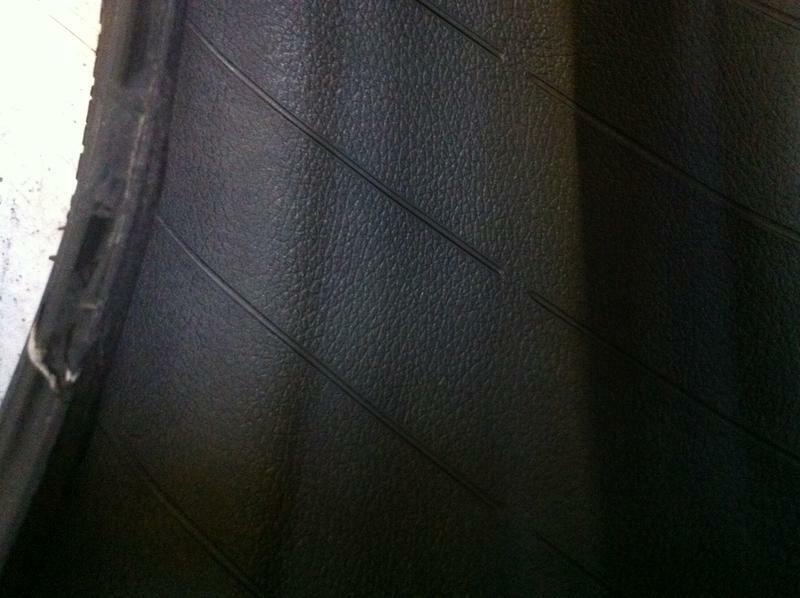 It's common for tyres to be bald there and have decent tread on the easily visible section. Catching the curb or debris in the road can cut the side wall leading to sudden deflation. If that happens at speed you'll do well to keep your car in a straight line and bring it safely to a stop. Manufacturers spend thousands of hours and many millions of pounds researching the optimum suspension and tyre safety combination. 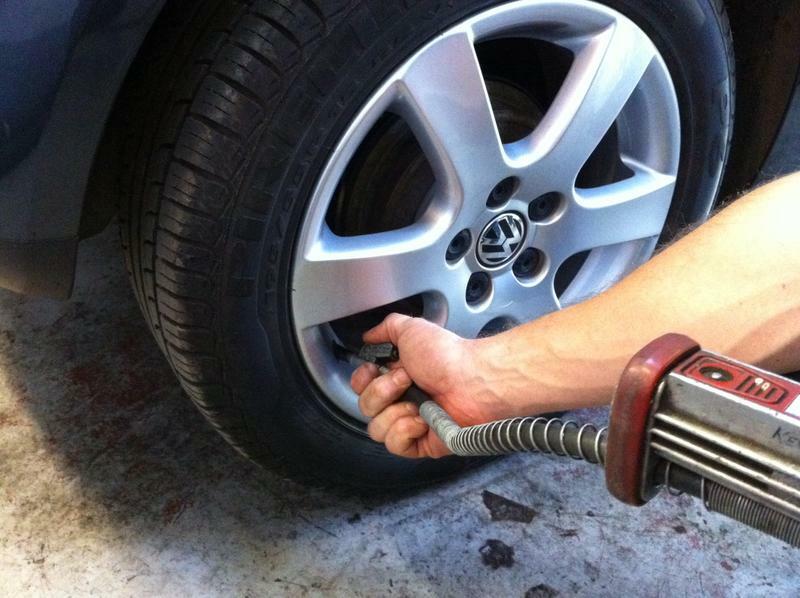 Setting the tyres to the recommended pressure is therefore vital. Where do I find the pressures for my VW? On your Volkswagen the tyre pressures are listed on a silver sticker inside the fuel flap. 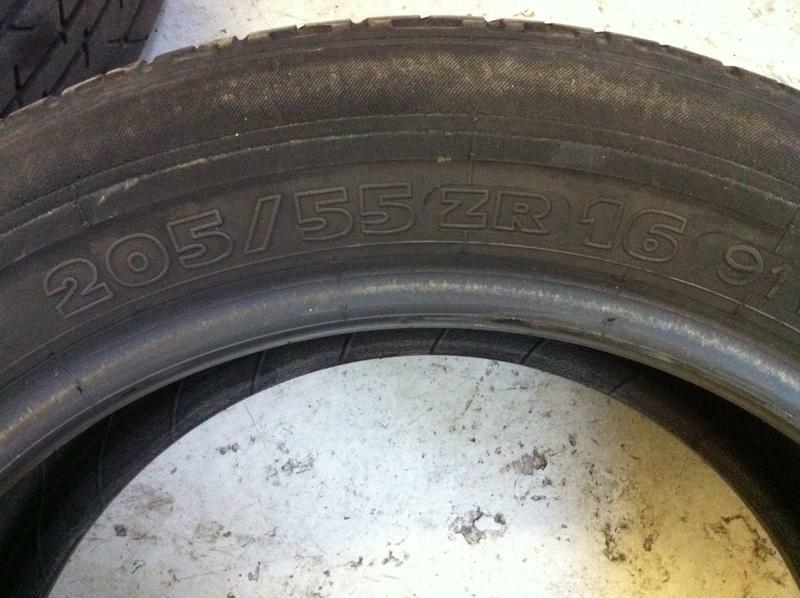 You'll need to know your tyre size in order to look up the correct pressure. Simply read the numbers from the side wall and compare them with the sticker. 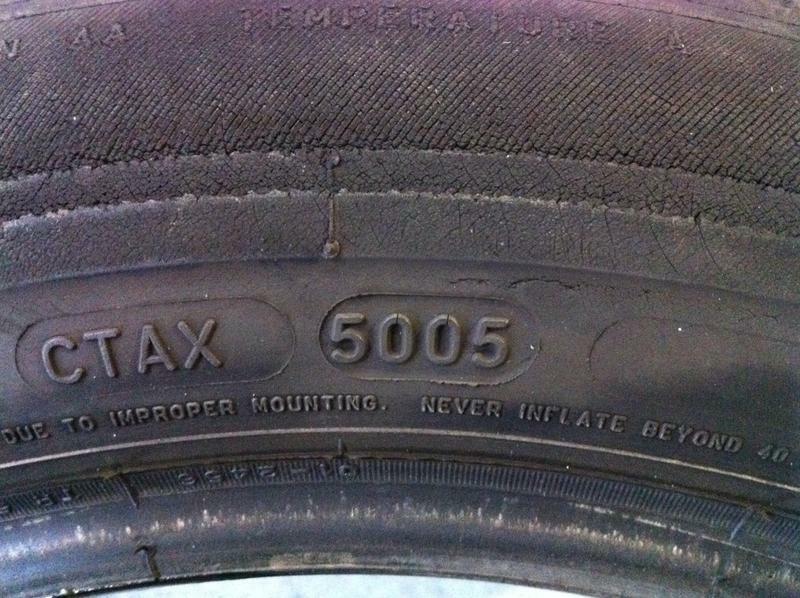 For more detail on tyres see our safety & buyers guide advice. Which do I use? BAR or PSi? There are two measurements of air pressures. BAR is new money while PSi (pounds per square inch) is an old UK, pre-Brussels measurement. 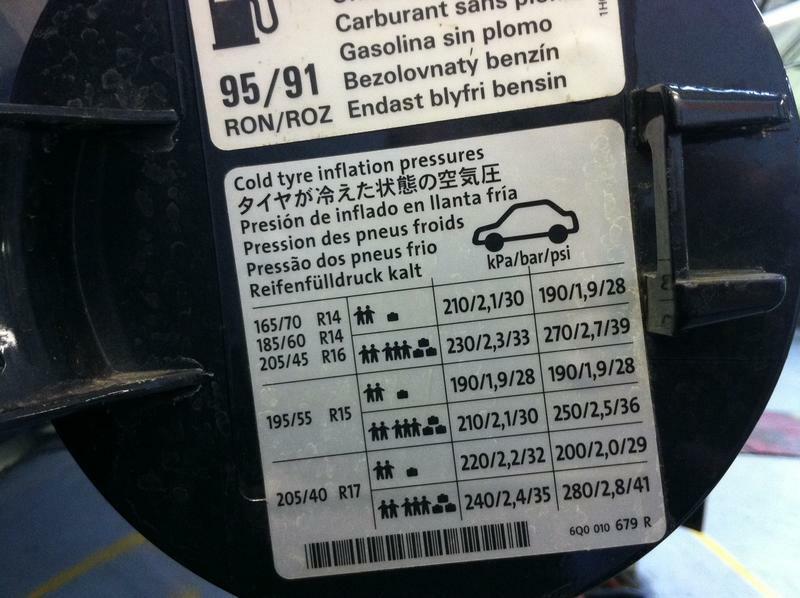 Tyre pressure gauges show both measurements or newer ones just show BAR. Newer Volkswagen models also just show BAR inside the fuel flap. If you need to convert BAR to PSI multiply it by 14.7 (easier said than done on the petrol station forecourt in the pouring rain after someone with diesel on their hands has just used it!). If you can remember that 1 BAR equals 15 PSi you won't be far out and certainly within the 10% + or - acceptable tolerance. Just check everything carefully. Too many people read 2.1 BAR on their chart and put in 21 PSi, ending up with a third of the pressure they actually need. How do I alter my tyre pressures? If you've had a push bike as a kid you'll know how to do your tyre pressures. If you didn't, your Dad did it for you or it was too long ago to remember then here goes. Unscrew the black plastic or metal cap on the top of the tyre valve. Push the nozzle of the air pump firmly onto the value and squeeze the trigger. Watch the gauge carefully and ensure you're going for the right measurement (see BAR or PSi). Lift off the trigger (or you'll get a face full of brake dust) and swiftly withdraw the nozzle. 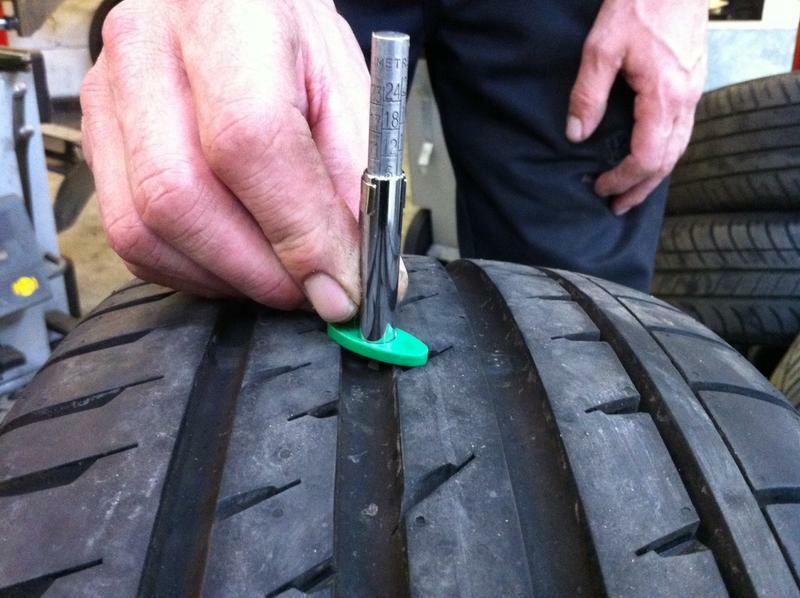 Double check the pressure is correct with your digital tyre gauge. Remember to replace the 'dust cap' as it does what it says i.e., prevents road dirt getting into the value and clogging it up. Finally, if you have a Volkswagen with tyre pressure monitoring press the button for 3 seconds until you hear a beep from the dash. You have now told the car that these are the pressures and it'll warn you if one of them should drop rapidly from this level. The 2010 onward VW Polo button is hidden in the glove box. Other models are more obvious and are normally located in front of the gear lever. But don't I need to increase the pressures when the car's loaded? For a short hop we'd say don't worry as you'll have to set them back down again once you've dropped everyone at the airport. If you unload and don't decrease them that can be as dangerous as under inflated pressures as less of the tread is in contact with the road. For long journeys or more regular trips then follow your VW handbook advice and use the chart inside the fuel flap. Aren't garage forecourt gauges always way out? Responsible petrol stations will have their gauges calibrated at least every 12 months. Sadly most people don't treat the gauges too well and they often get dropped or thrown to the floor making them inaccurate. Will my local Volkswagen dealer do them for me? YES, YES and YES! Their gauges are calibrated every 6 months as part of their franchise agreement. Pop in, grab and coffee and ask the nice advisor at reception if someone will do your pressures for you. If you have time ask them for a FREE vehicle health check (known as a EVC by Volkswagen).